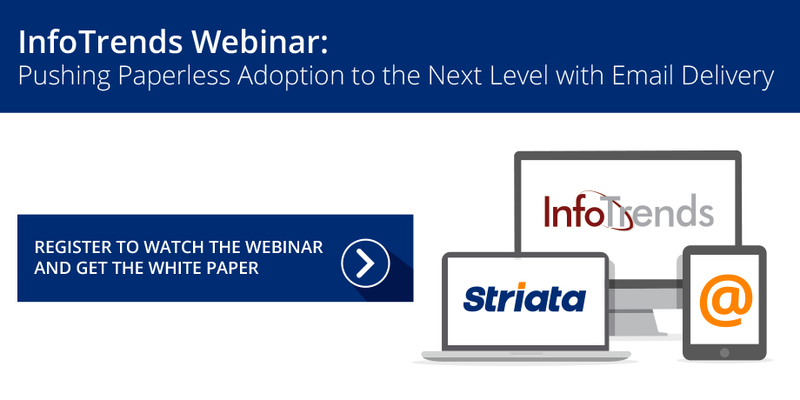 Matt Swain, Director at analyst firm InfoTrends, recently delivered an informative webinar focused on paperless adoption. He discussed new research conducted for the white paper, entitled: Pushing Paperless Adoption to the Next Level with Email Delivery. Three companies that chose to use Striata’s secure document delivery solution as the way to meet their paperless needs are featured in this paper. 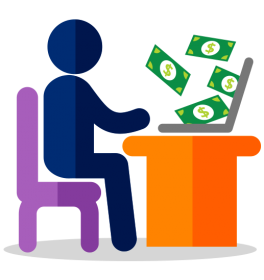 A global technology company had only 4% of its customers opt in to receive electronic invoices through its portal. It decided to add Striata’s PUSH solution and now experiences 18% adoption, with continued adoption expected. National Grid chose to add Striata’s PUSH solution to help improve customer communication, thereby driving long-term customer satisfaction. Intermountain Rural Electric Association (IREA) lacked a web portal and needed an eBilling solution for its customers. It started with zero paperless customers and because of Striata’s solution is now at 30% adoption. Do a reality check. Review your current and historic paperless delivery adoption rates and compare those against your goals. If your goals are aggressive, or your achievements are below expectations, consider a transformative approach to achieving them. Provide customers with options. 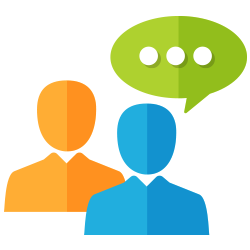 Customer preferences vary when it comes to how they interact with their service providers. 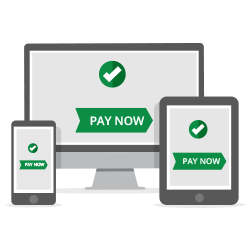 Consequently, it is critical for businesses to have a suite of communications delivery (and bill payment) options available for customers to choose from. Consider PUSH email. PUSH delivery helped interviewees reduce costs, increase paperless adoption rates, and improve the customer communications experience. Connect with vendors of email delivery and payment solutions to learn more about their solutions and how they can help you achieve your goals. Striata recently teamed with Inlet, a secure digital document delivery platform created by a joint venture between Pitney Bowes and Broadridge. The alliance enables both companies to add even more digital delivery capabilities to their existing eDelivery offerings, which allows clients to maximize their paperless adoption numbers.